B.A.K.E. 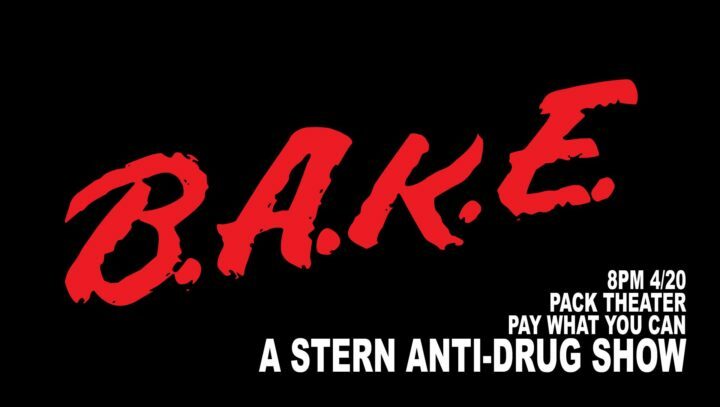 (Be Aware Cannabis is Evil) is the response to a disturbing trend at the Pack Theater: DRUGS. This show will give attendees the real-life skills necessary to avoid involvement in drugs, peer pressure, and gangs while showing them the MANY real-life consequences of marijuana use. Note: There is no smoking in the Pack Theater.